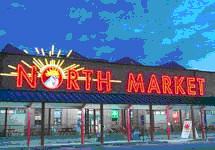 Located in the North Market, we have three restaurants and a catering service to bring you the finest in Italian foods. We also have an upscale restaurant on Gay Street (Due Amici) that offers Italian food and wines perfectly complimented by a modern dining experience. 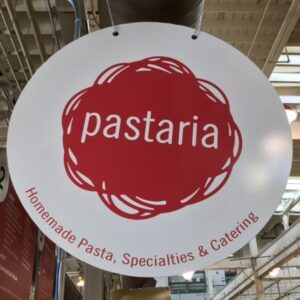 The Pastaria is located in the historic North Market in the Arena District of downtown Columbus, Ohio. The restaurant was opened by founder Don Ziliak in 1993. We specialize in true scratch cooking and our daily lunch offerings have made many loyal customers. Stop in and try our chicken parmesan, have a gynormous slice of 3 cheese lasagna, or for the more sophisticated pallet try our artichoke and gorgonzola cream sauce! 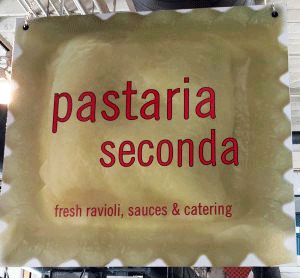 Right next to our flagship store in the historic North Market is where you will find Pastaria Seconda which specializes in fresh raviolis, fresh cuts of pasta and homemade sauces, prepared fresh daily. Let us tempt you with our Raviolis that you can take home and make for dinner: Lobster, Smoked Mozzarella, Black Bean and Butternut Squash are just a few of the over 20 ravioli fillings offered daily. Having company over for dinner? No problem! Give us a call and we can have your order packaged and ready for pickup. If you want the kind of pizza described by our east coast customers as “the best pie they have ever eaten west of New York City”, visit our North Market location adjacent to Pastaria and try a slice. 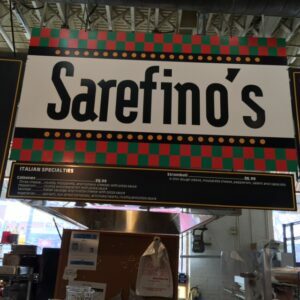 Yes – this is the best New York style pizza in Columbus! We hand toss every pizza and serve it pie shaped by the slice. Favorites include pepperoni, cheese, and a mouth watering veggie pizza with spinach, artichokes, and roasted red peppers. 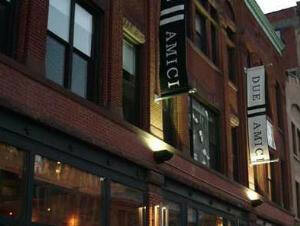 Due Amici means “two friends”. Jeff Mathes and Don Ziliak are friends and partners in this hip, cool and trendy New York style Italian restaurant. Located in downtown Columbus on Gay Street, the restaurant offers dishes ranging from New York style pizzas to salmon served with tomato-basil relish & sherry vinaigrette. This is a perfect place to have cocktails after work, dinner at the bar or come in and dine before the show.